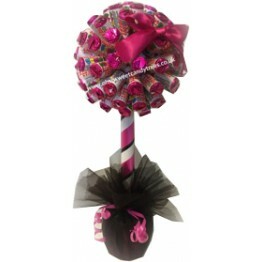 This is the gorgeous pink version of the Ferrero Rocher Rose bouquet (many other colours available please see the other listings). 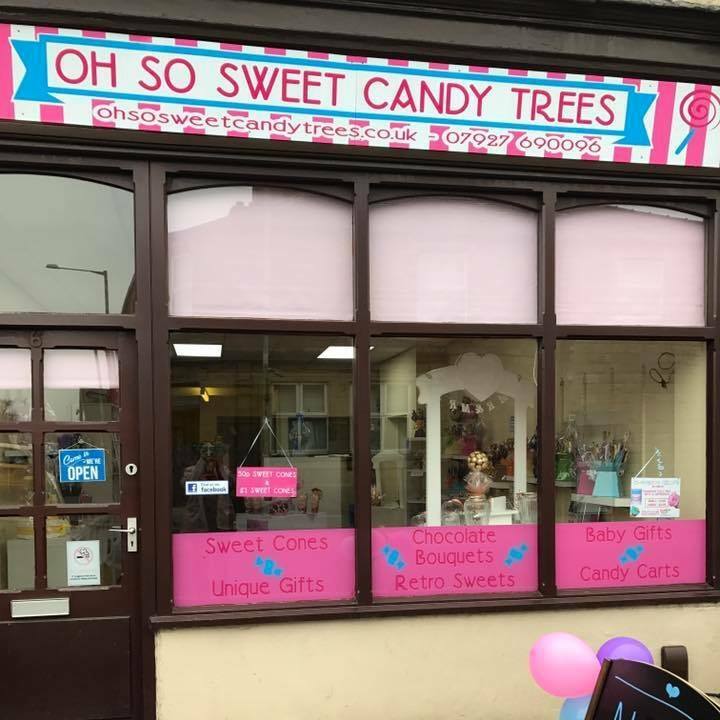 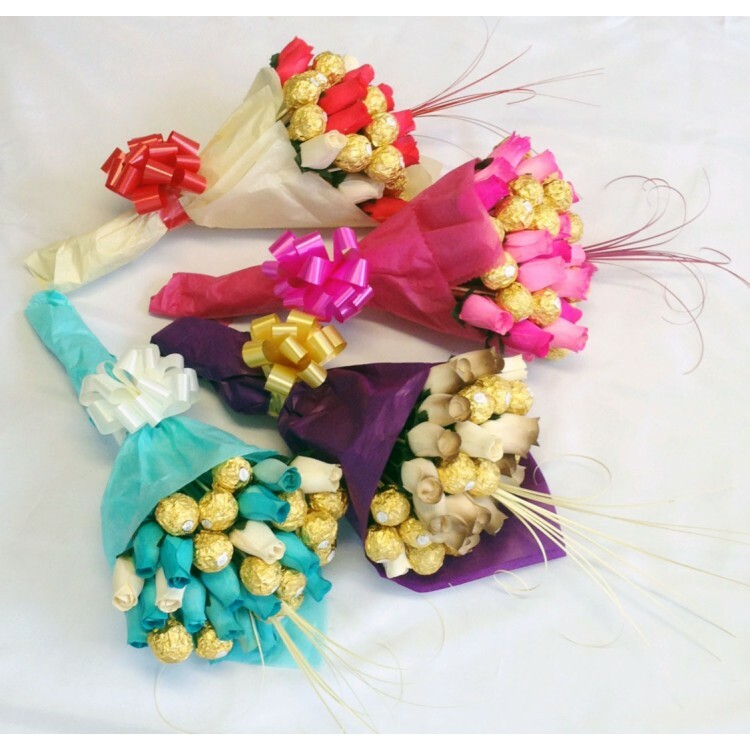 If you want to buy a unique gift for that special person then this is just that!! 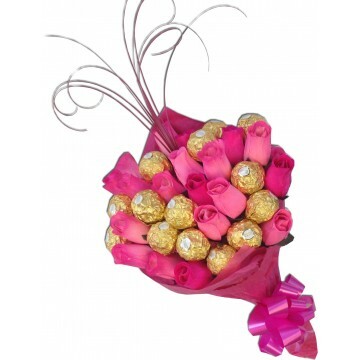 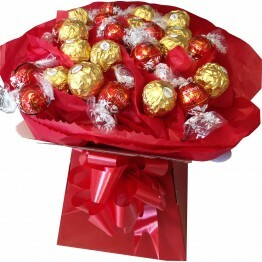 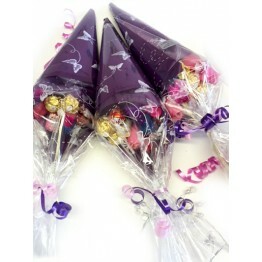 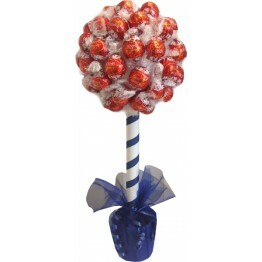 This bouquet includes 15 Ferrero Rocher Chocolates within a display of wooden roses in a pink theme. 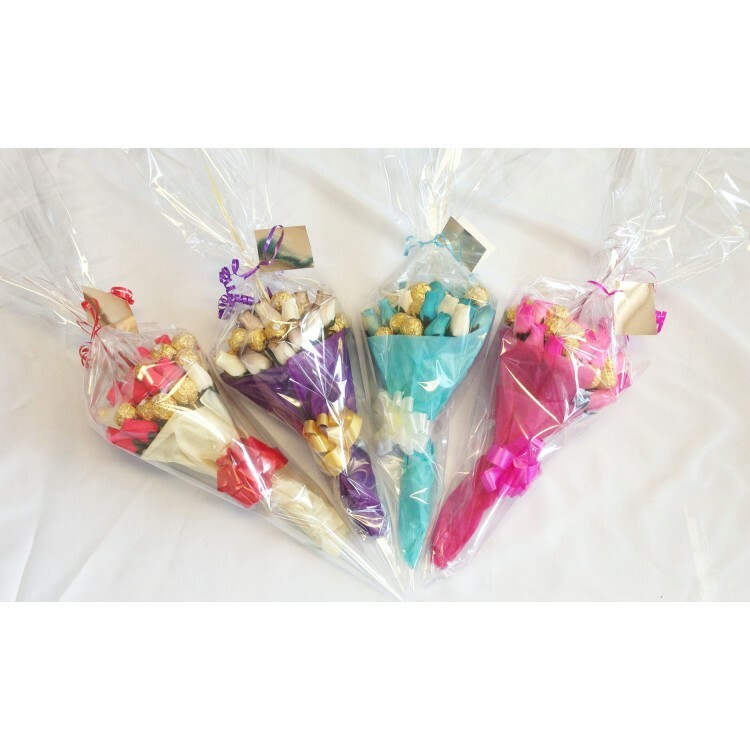 It comes beautifully gift wrapped.